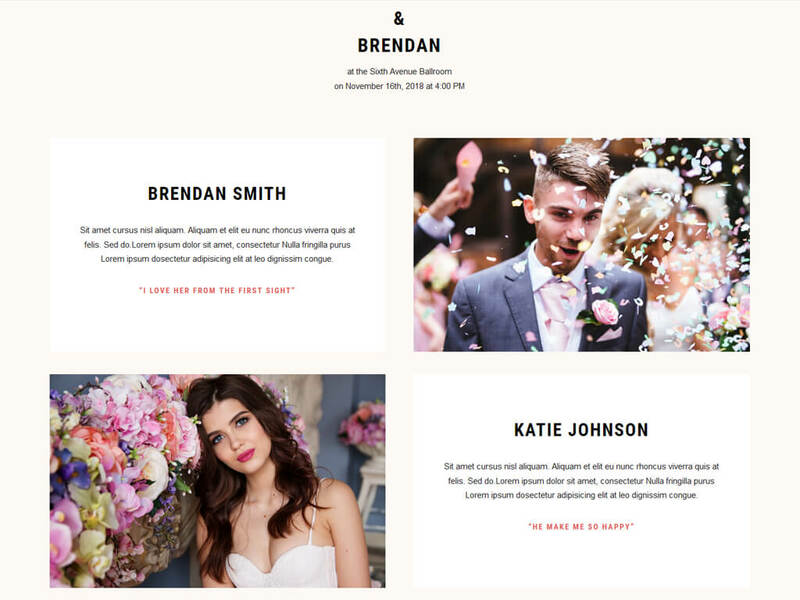 Very stylish, mild and pleasant wedding theme, made in warm, pink and peach tones. 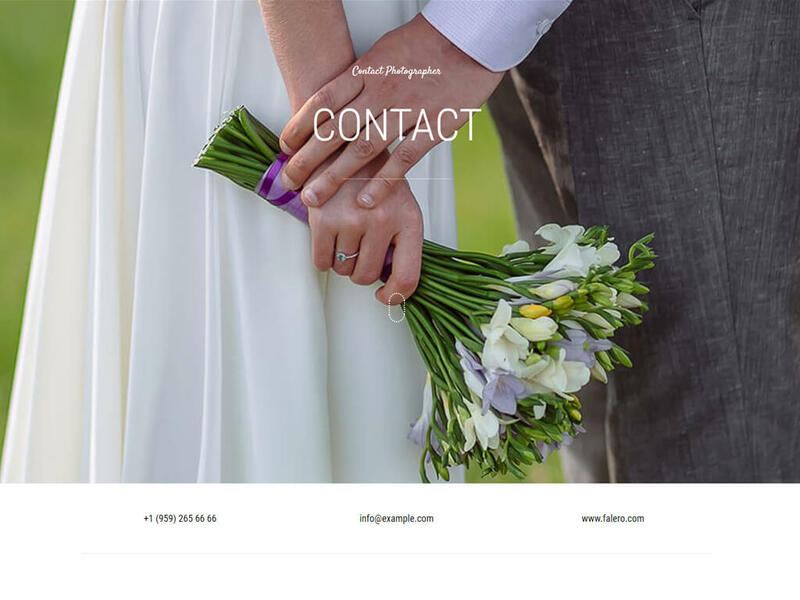 Well-chosen typography and font sizes make the template more like the style of glossy magazines. 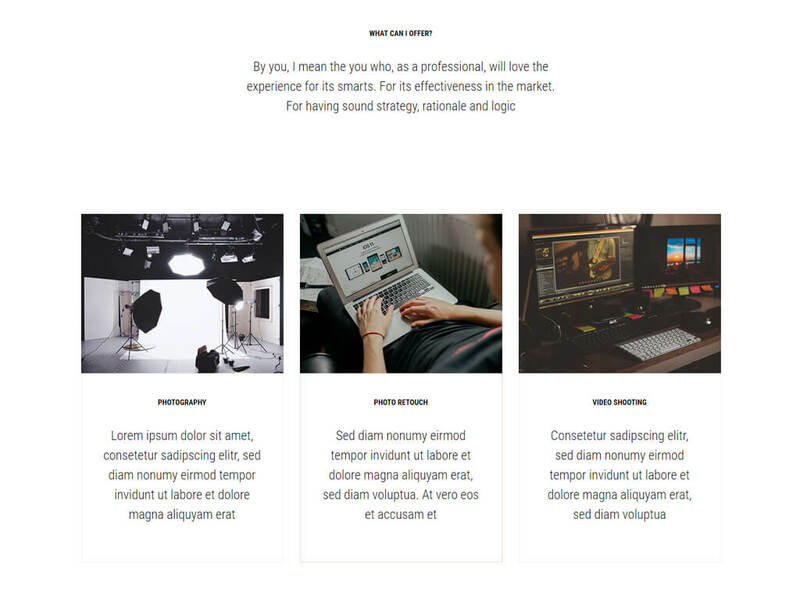 A large selection of all the necessary templates for a novice businessman, be it a page with services or a brief information about the company. 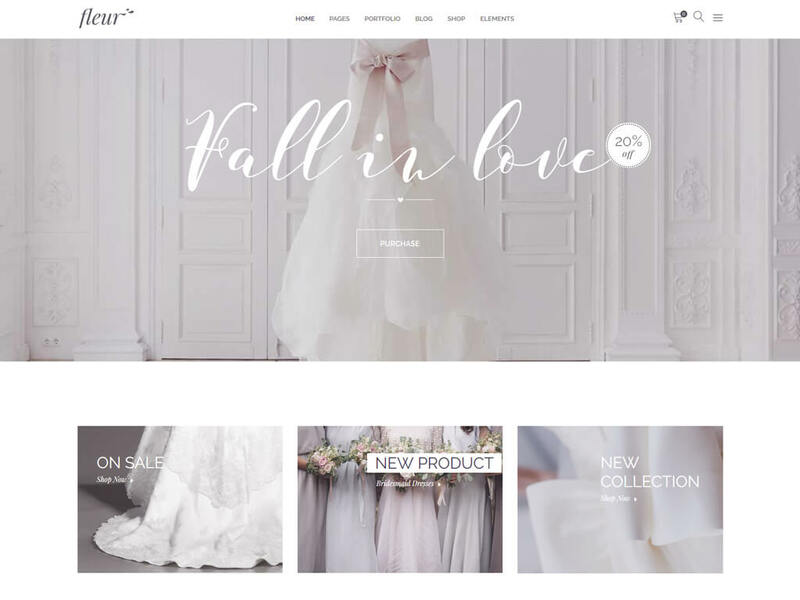 In this theme, there is even a simple and stylish online store based on Woo Commerce which will enable you to sell various accessories and wedding clothing, while maintaining a common style with the site itself. 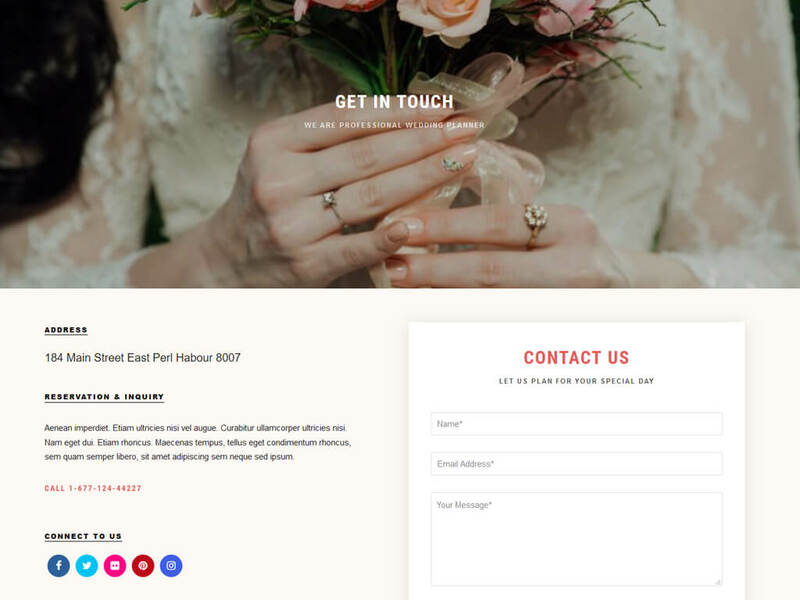 This template is perfect for beginners in the field of wedding services, as well as on its basis you can make an excellent promo site dedicated to a specific event, celebration or wedding, as evidenced by bright and ready templates of pages with different contents. 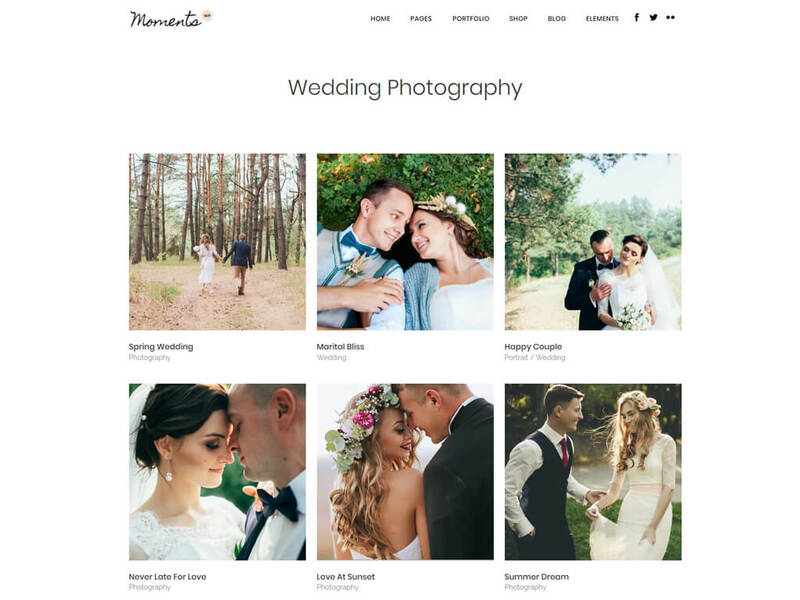 Many beautiful styles of galleries give a great opportunity to share great wedding photos in the form and size you want, and viewing photos with a dark or light background (in photo view mode) it will be a nice addition to the photo gallery and will give some contrast to certain photos. 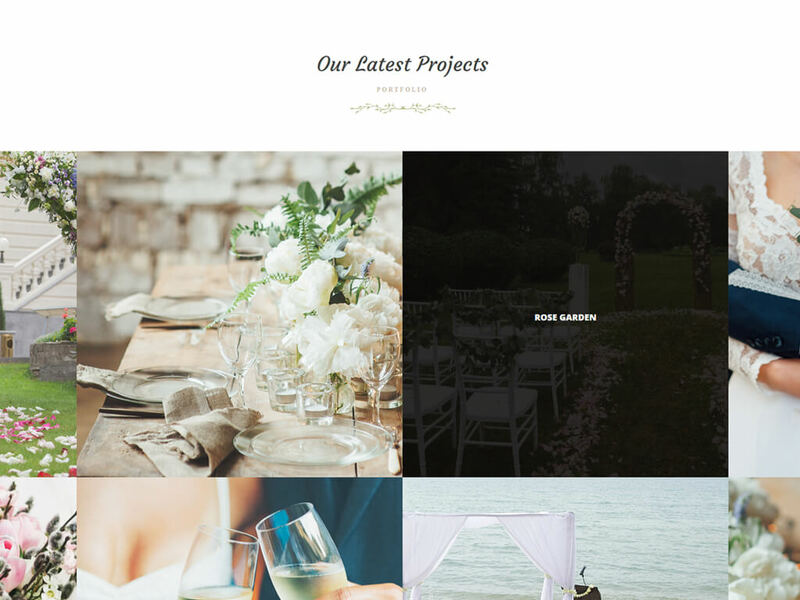 A stylish theme with lots of ready templates for various purposes and activities. A pleasant and gentle color scheme makes it even more attractive. In some templates there is a musical accompaniment that can convey the mood of a particular template. 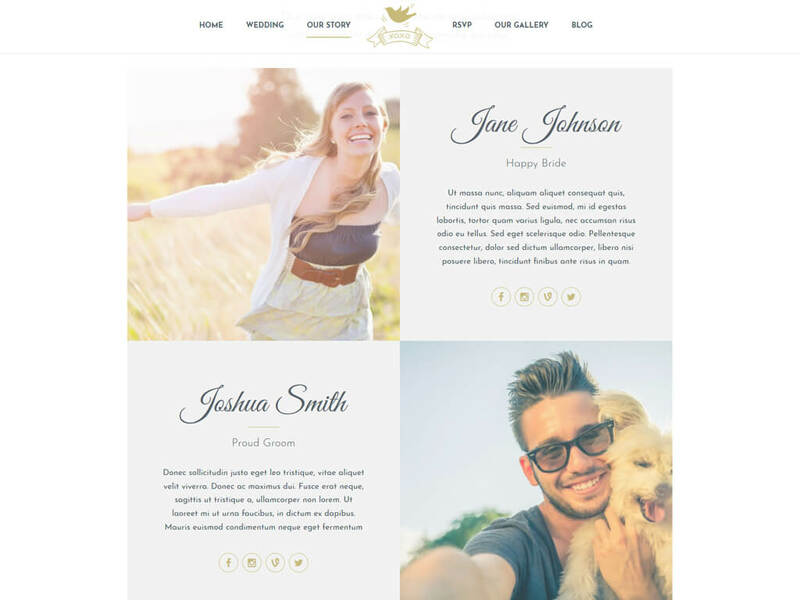 In this template, there is also a built-in store styled to the basic style of the template. 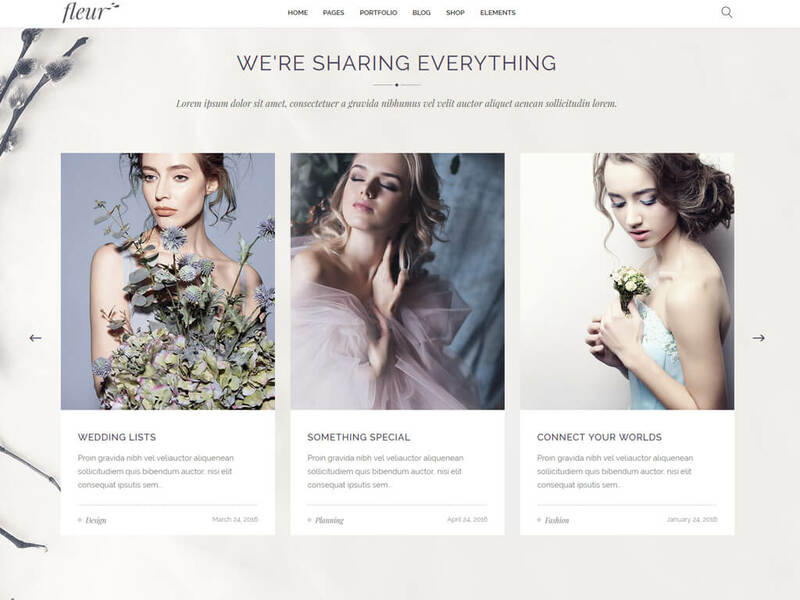 It is made in minimalistic styles and effects, concentrating on photos of products. 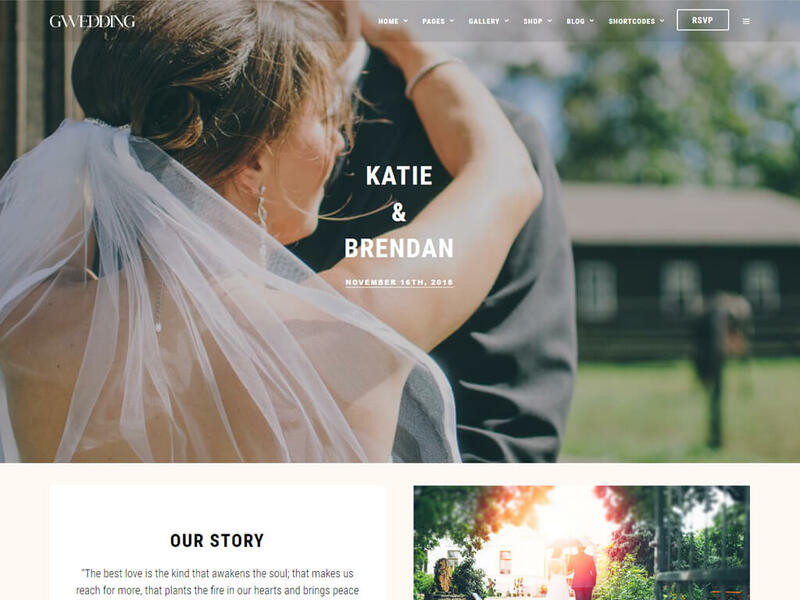 Several styles of the blog will help to reveal and embellish the page of your wedding website and make a certain bias in the right direction, whether it’s bright big photos or minimalistic headlines with small photos. 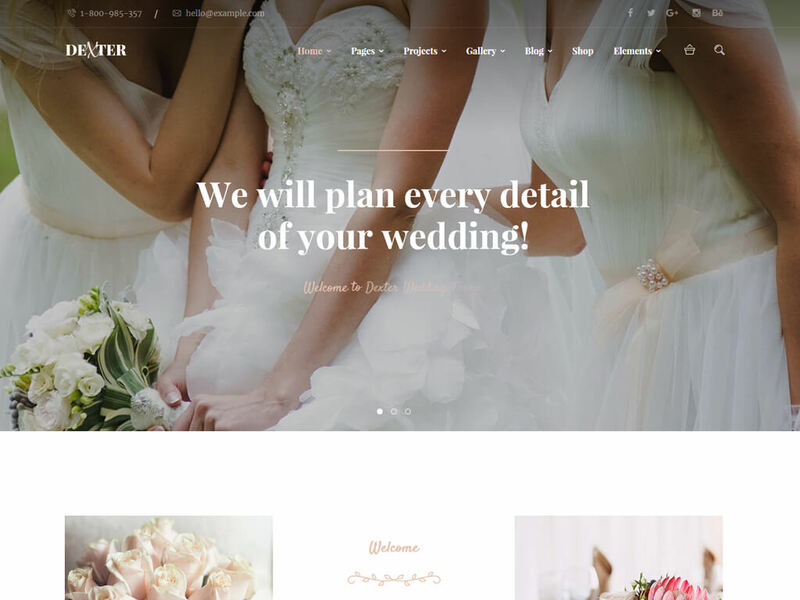 Another interesting wedding theme made in modern style. Strict colors based on black and white make it even more specific, it is diluted only by a small amount of gently pink color, emphasizing certain details. 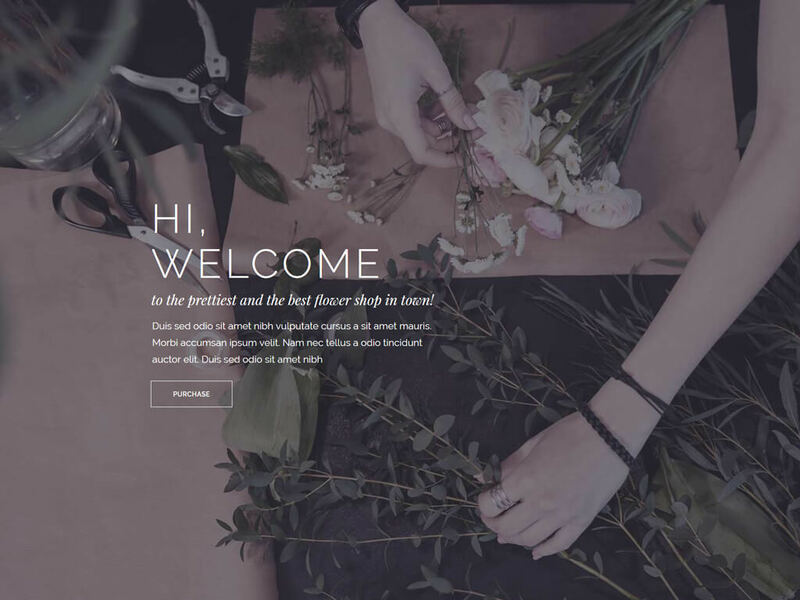 Bright, straight shapes with no complicated animations give a nice and stylish effect. It is perfect for a fashion or modern user who does not like different patterns, flowers and small annoying elements. 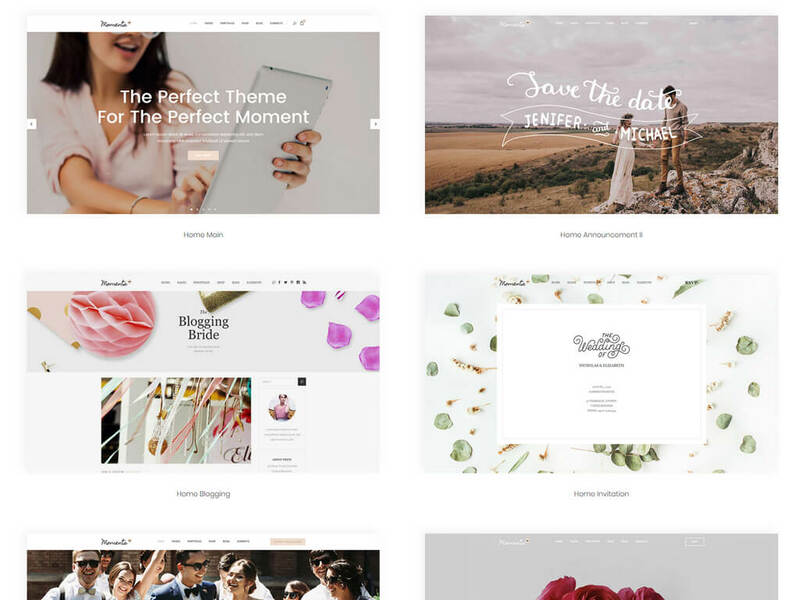 Its pure, clean appearance makes it unique among other themes. 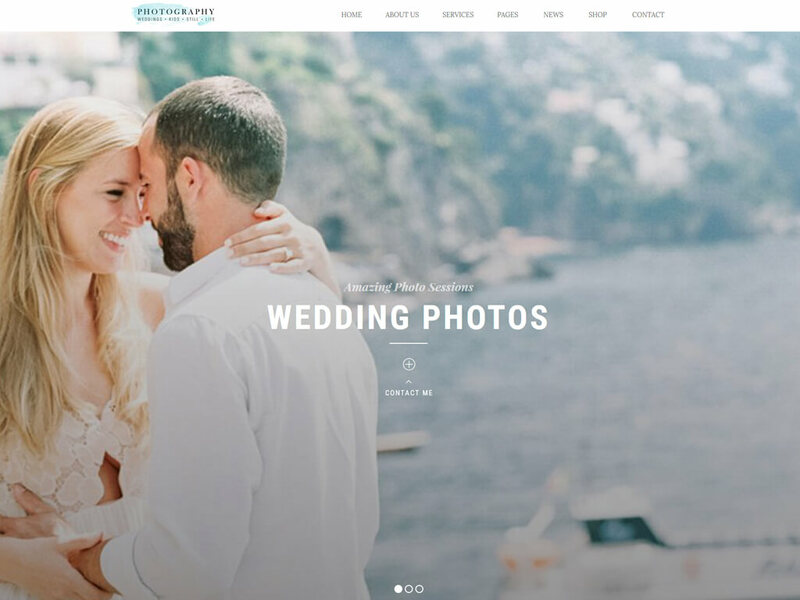 A wide selection of gallery styles, convenient setting will help to create bright and unforgettable wedding photo galleries on your pages. 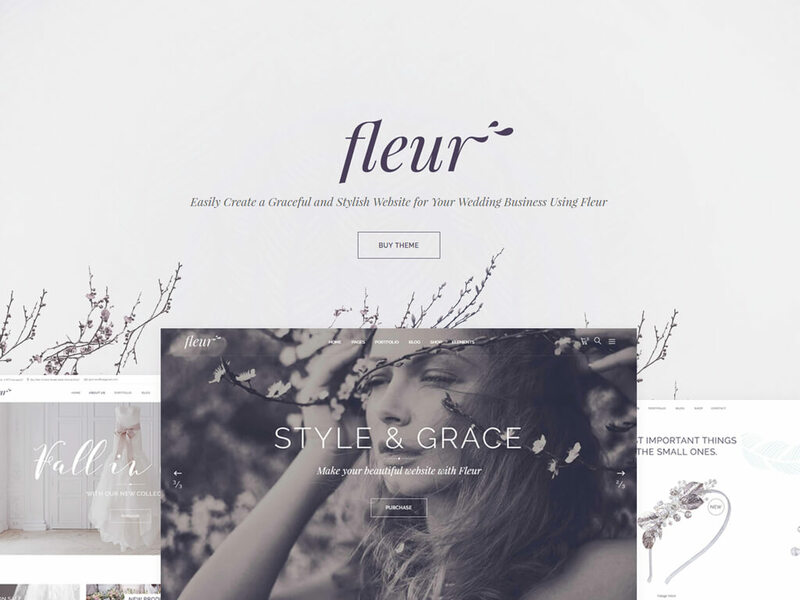 A stylish minimalistic blog is perfect for small publications and for informing your users or guests with useful information. 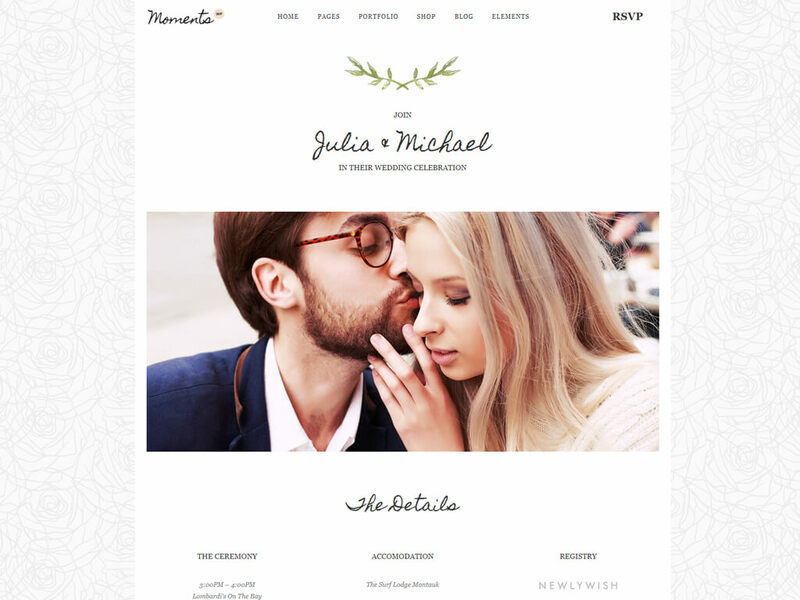 An excellent template for a wedding event, pleasant even shapes make it attractive and affordable for many newlyweds. 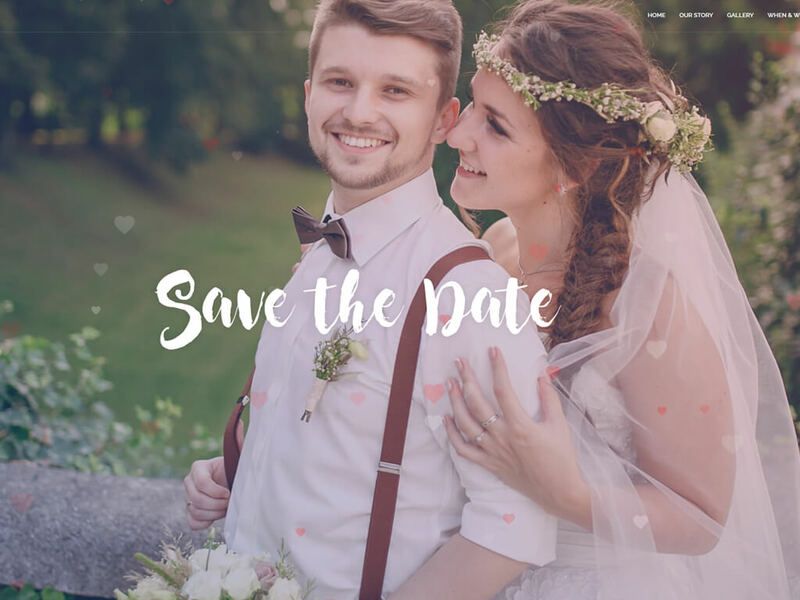 There are several different presentations of such a wedding promo page (using a gallery, or a contact form for communication). 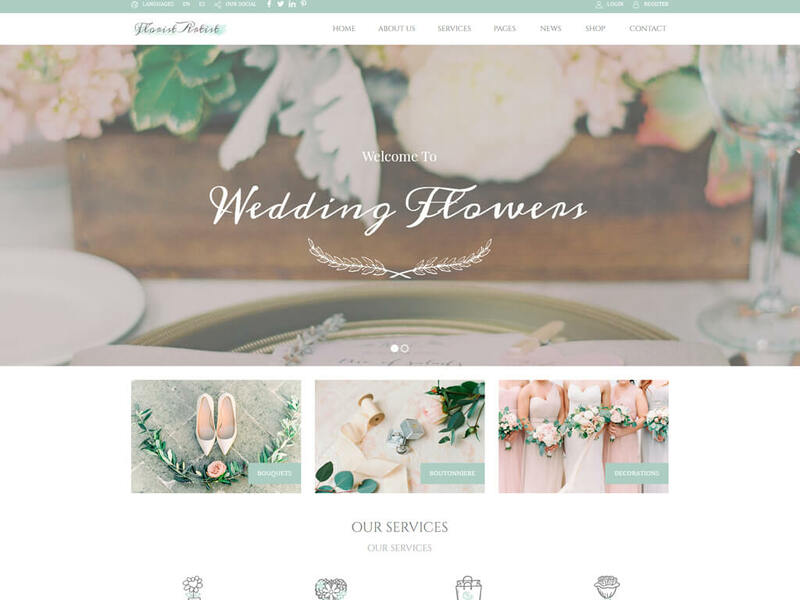 The color scheme is also quite pleasant, in pastel light colors, which we often see in wedding decorations and ceremonies. 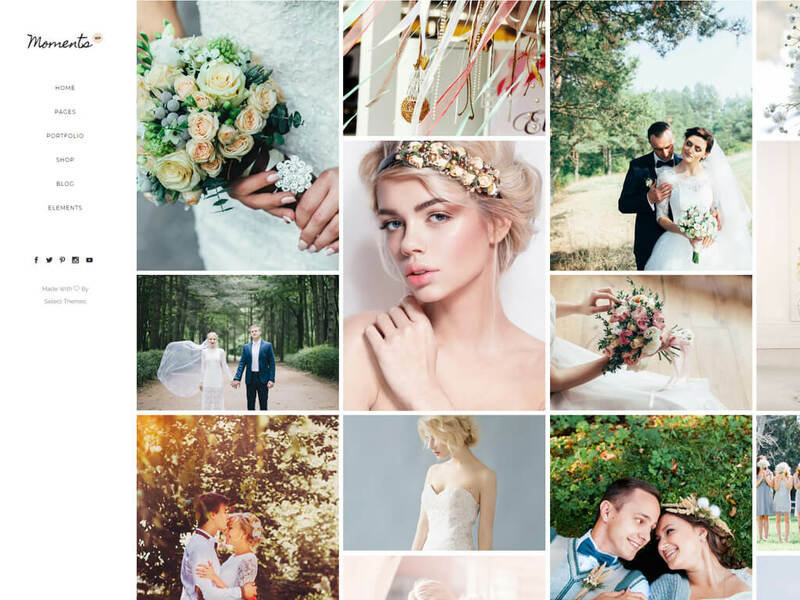 In this template, you can also connect your instagram which will broadcast your photos on the template page. 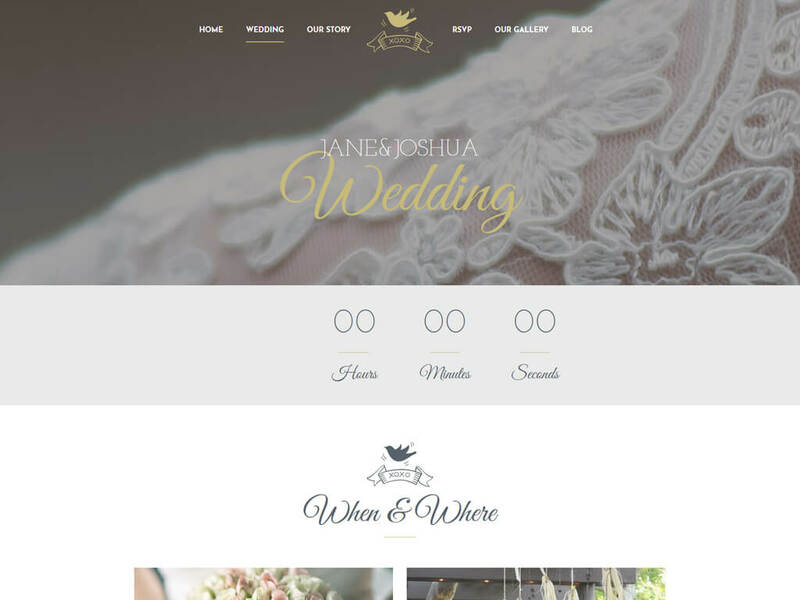 A nice theme in an unusual cold pastel color, looks very stylish, airy. 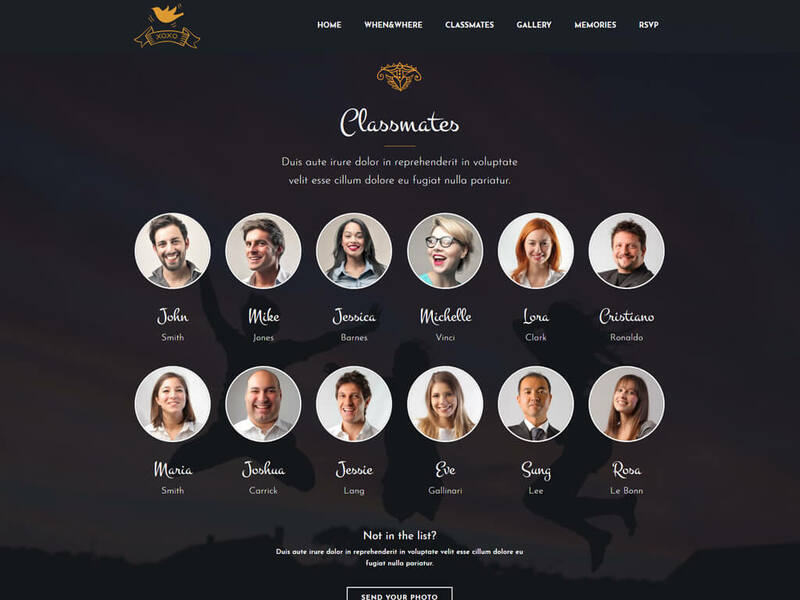 The only drawback of such a template is a careful selection of photographs and graphic design, otherwise the whole idea will not look the way it was designed by the developers. 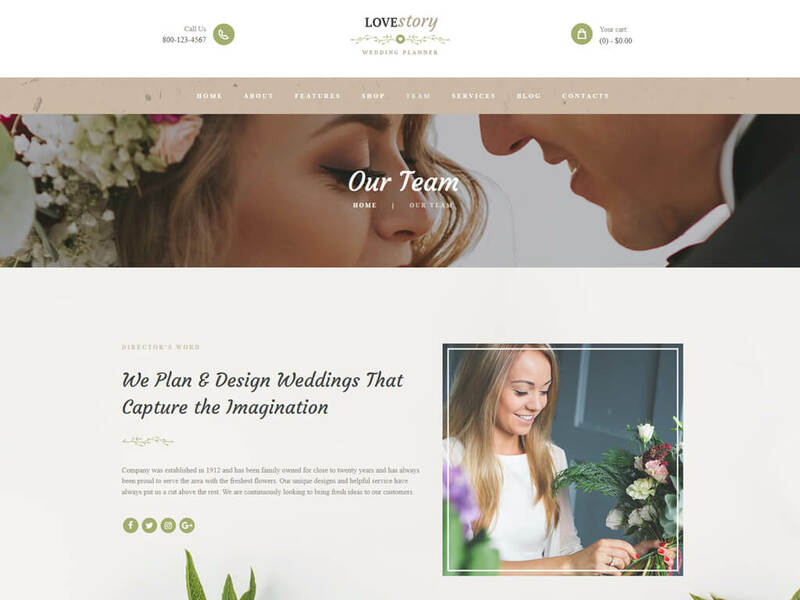 In addition, there are beautiful and understandable page templates, all the necessary elements in the form of galleries, reviews, lists of services are available on the pages, which will help you to create your own pages and group the blocks in the order you need. 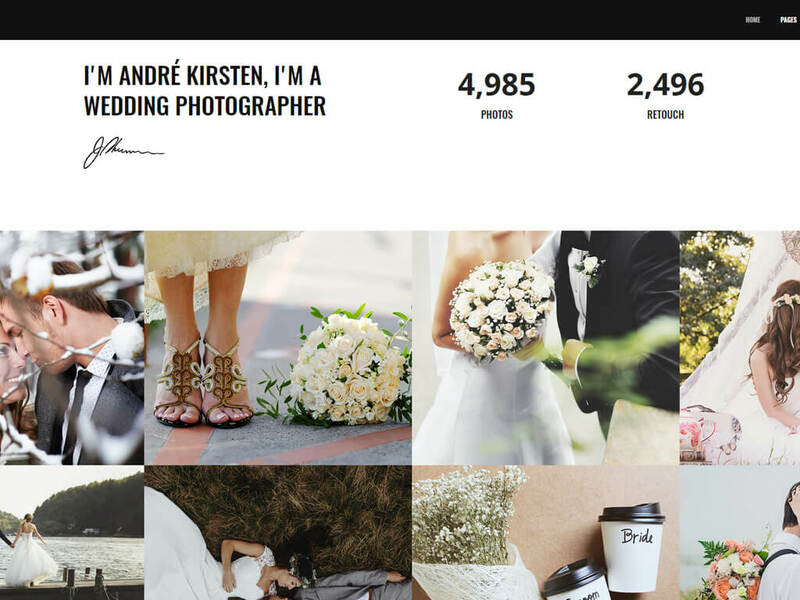 A stylish minimalistic template for a wedding photographer. 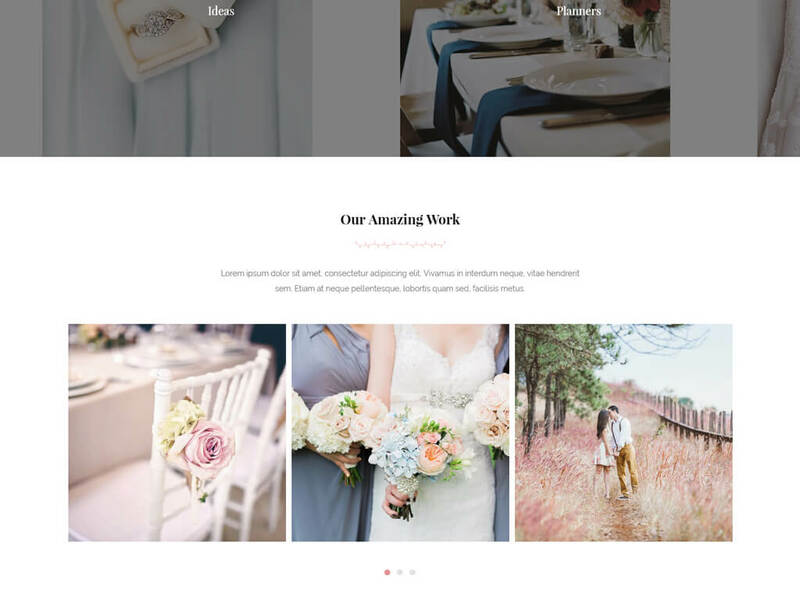 A pleasant pink color in minimal amounts accentuates attention to small things and does not detract from viewing quality photos on pages and galleries. 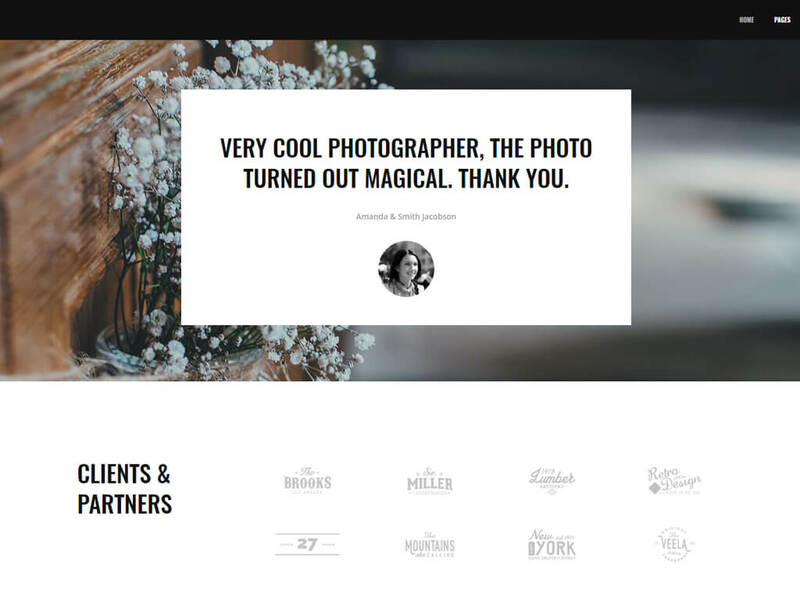 Large bright photos, sliders with animations make pages more attractive and dynamic. 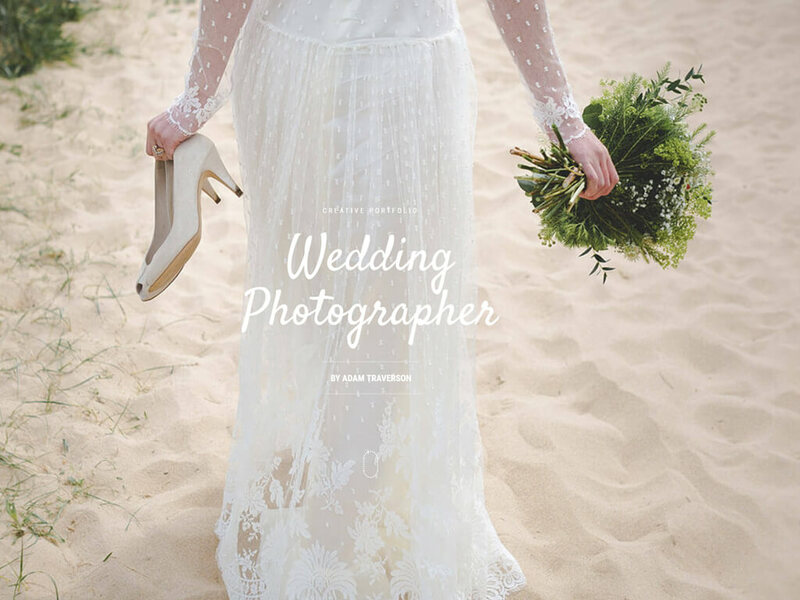 The template contains all the necessary elements for assembling the pages you need or creating your own gallery. 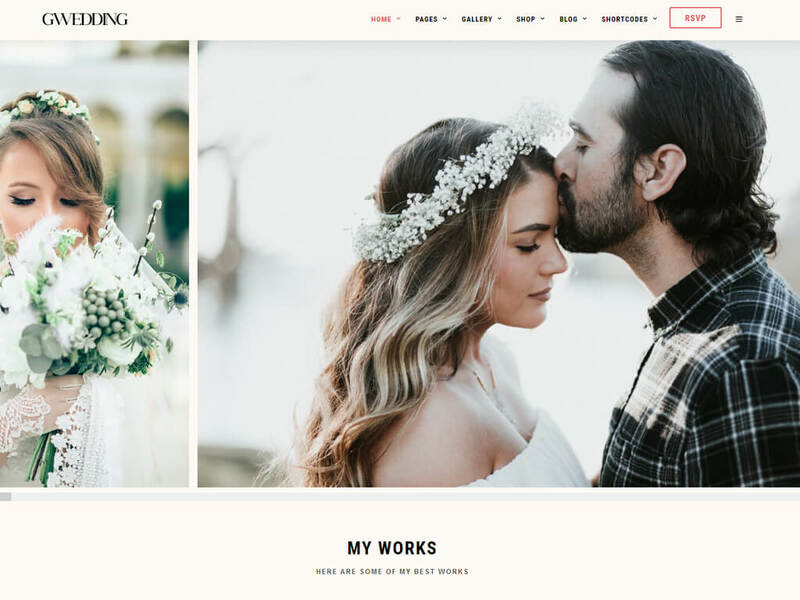 It is perfect for a beginner photographer who does not have a large portfolio and very much wants to quickly show everyone their talent and find new customers. 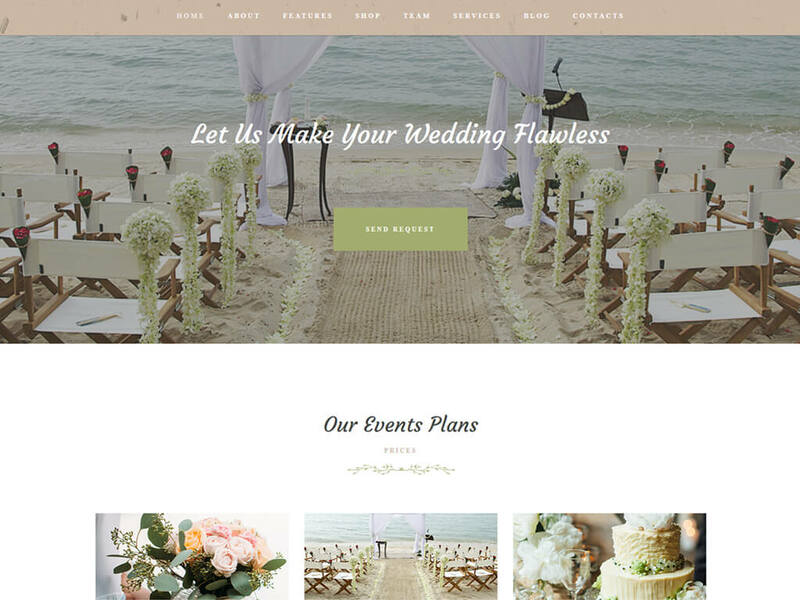 A very beautiful theme in green and cream shades, perfect for a wedding agency or an organization that provides wedding services, whether it’s a private person or a company. There are not so many Pages and templates but as in all others it has everything you need to provide the necessary information. There is also a possibility To make your mini-shop and sell certain goods to your customers. In general, an excellent and pleasant template made by professionals and deserves attention. 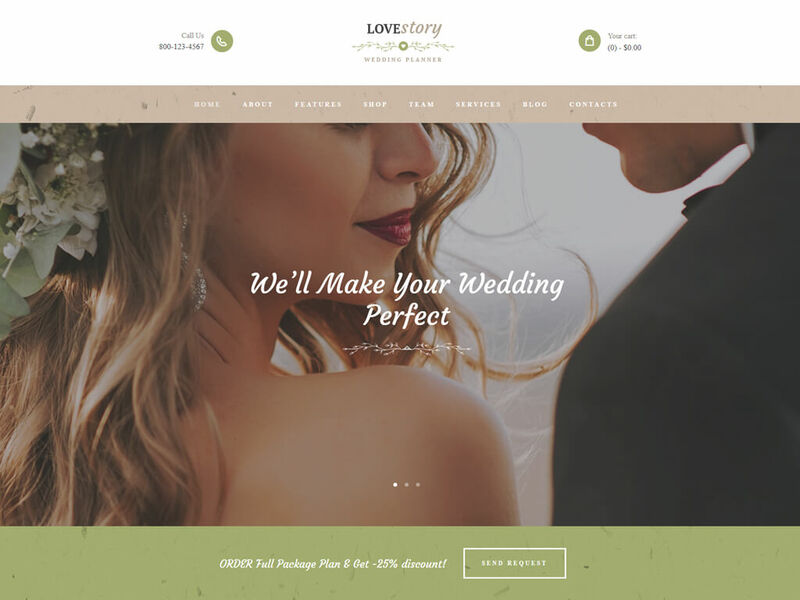 One of the popular wedding theme templates, has many different demo templates that are suitable for various purposes, whether it’s a stub for a site, a link page or a minimal gallery. 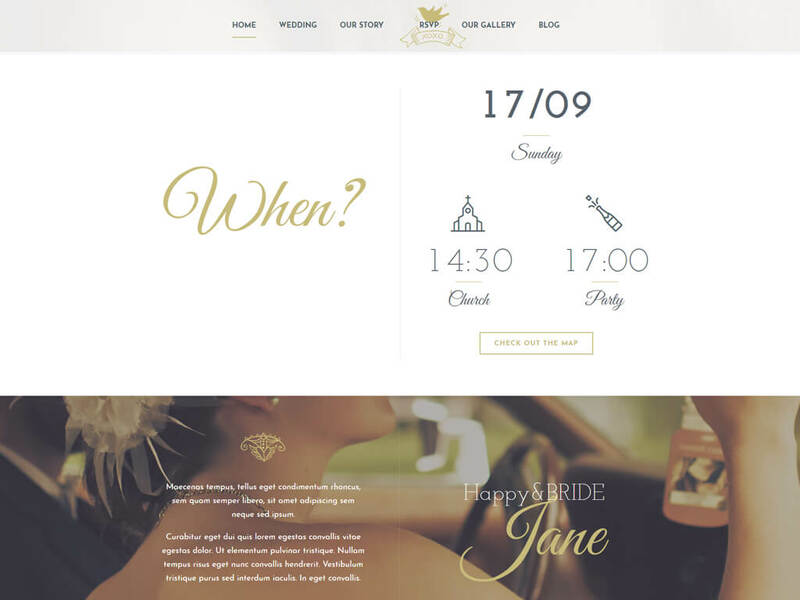 A stylish, light pattern with lots of elaborate details and templates. 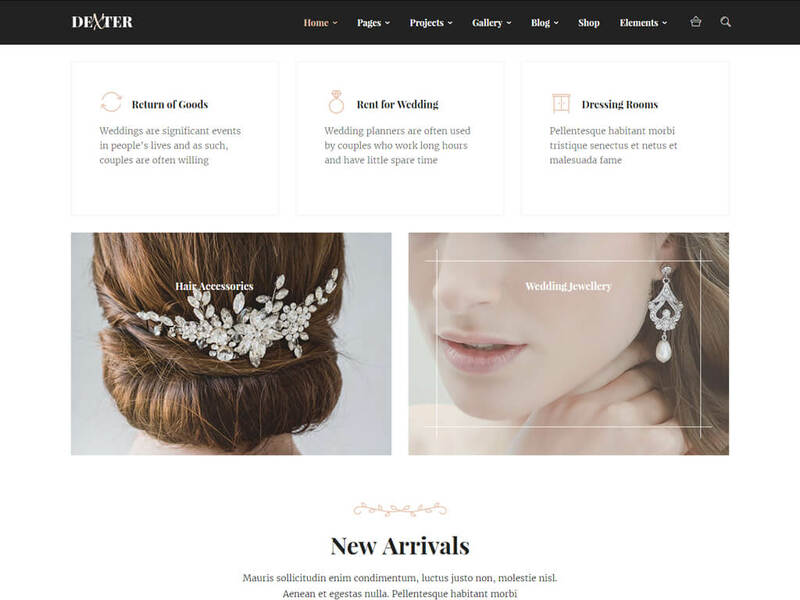 In this template there is no possibility to create your own store, so keep in mind if you need a store, then you should think about and choose another option for your future site. 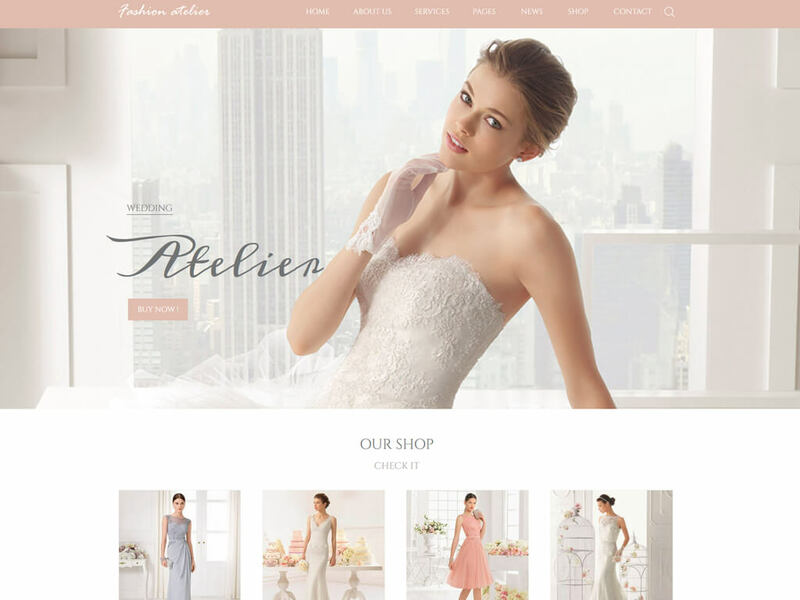 A beautiful and harmonious wedding theme, pleasant and attractive colors. 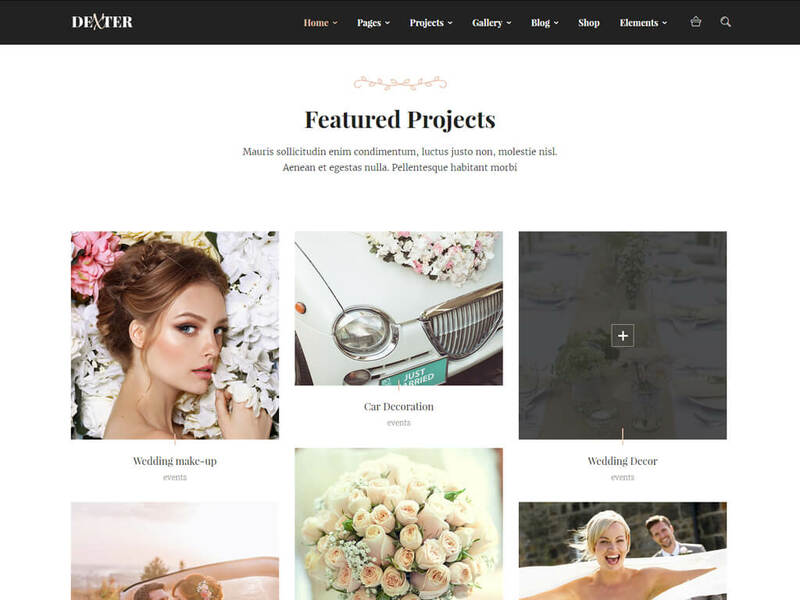 This template has many options in dark colors that can attract a certain number of users, but there is also the opportunity to push away certain buyers who are looking for light patterns. 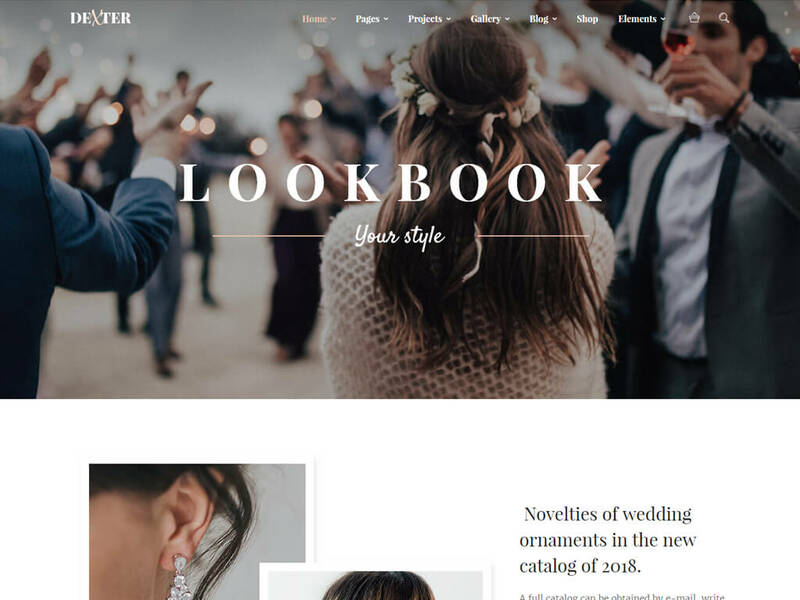 There are nice sliders with animations that create the impression of a large and expensive organization or wedding event. 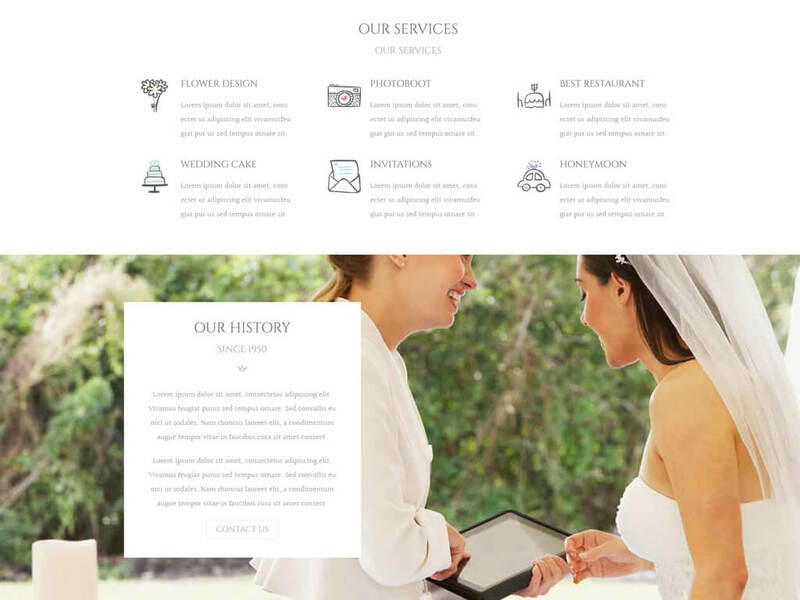 An excellent template that we have identified among other wedding patterns. 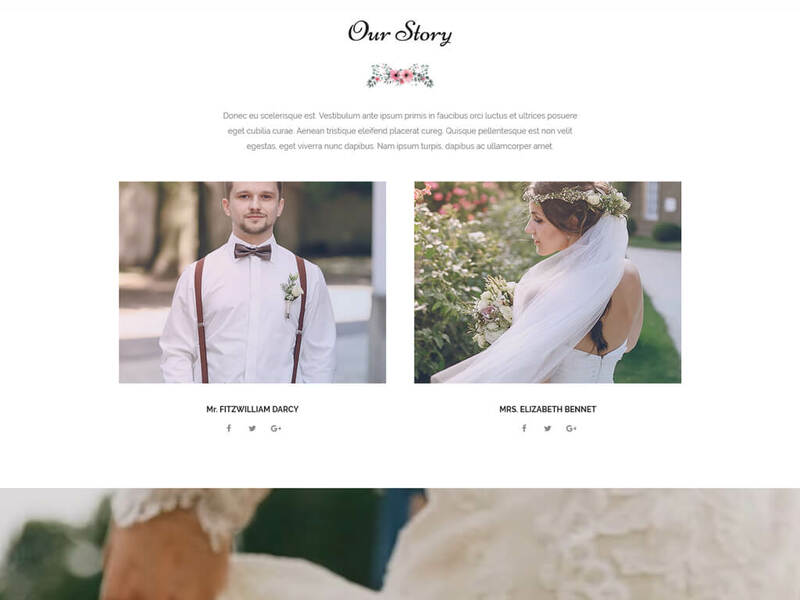 Pleasant templates in which different combinations of typography and fonts are used, large and vivid photos convey a certain effect when visiting this wedding template. 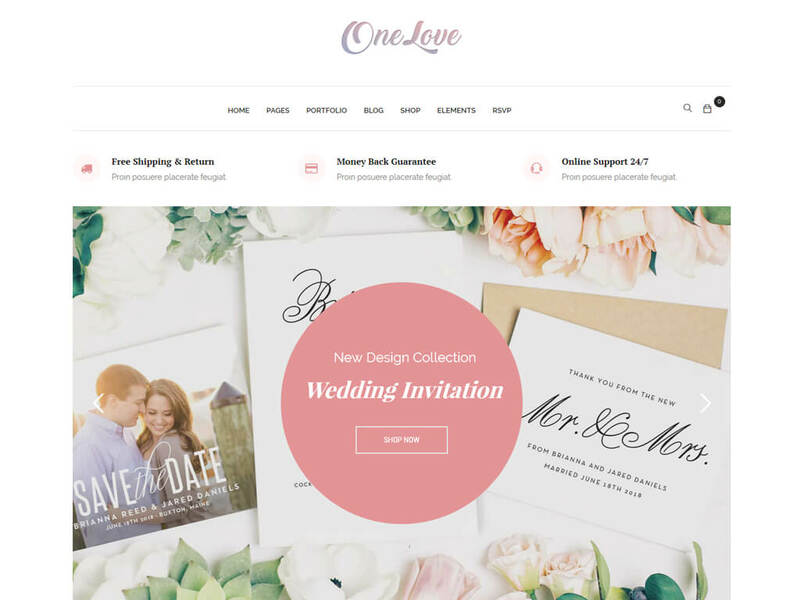 All templates use nice pastel colors (pink, turquoise, cream), but as in all others, a light (white) style of templates predominates. So everyone will find something for themselves in these templates and use it for their own purposes.